Some people choose to be activists; others become activists out of necessity. As a young man, Michael Krawitz never imagined he’d someday be a medical marijuana activist. He joined the Air Force in 1981 (while still in high school) and served honorably during the Cold War until being medically discharged in 1986 for severe back injuries. He had to be medevaced to an Air Force facility, where it took 13 surgeries to put him back together. Suddenly, he was thrust into a whole new medical arena that he knew nothing about. He began working as a veterans’ advocate, trying to get them treatment for Agent Orange exposure. Over time, he came to learn that fellow vets were using cannabis to alleviate their physical pain and mental trauma, and he eventually became a proponent for medical marijuana. 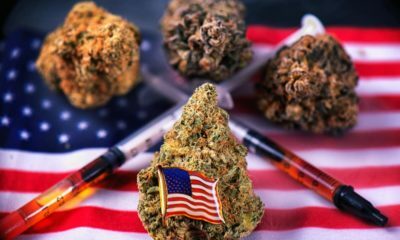 Now, many years later, this disabled veteran and advocate has embraced his role in the national movement: As the executive director of Veterans for Medical Marijuana Access, he not only helps vets navigate the Veterans Affairs system, but also helps the VA understand the average veteran’s experience with marijuana. We sat down with Sgt. Krawitz just before the awards show at our 2011 Michigan Medical Cannabis Cup in Detroit for an update on VMMA’s progress and his take on the state of medical marijuana in general. How did you get involved with Veterans for Medical Marijuana Access? Well, the VMMA started out with Martin Chilcutt, a veteran who was working on the medical marijuana law effort in Michigan. His story eventually got national attention, which got him noticed by the Marijuana Policy Project. They gave him a small grant to help him try to get different veterans’ service organizations to sign on to a resolution about cannabis. That’s what Marty was working on when I came along. I was fighting a battle against pain contracts [written “agreements” imposed on veterans who are prescribed powerful painkillers, which state that if they use marijuana, they’ll be cut off from their other meds], so our efforts linked up perfectly and we started working together. His efforts turned out to be critical in the work that I was doing, because then I had something I could take to Washington and say, “Here, this is what the VA is saying—do you agree or disagree with it?” Based on that conversation, we were finally able to get the VA on the record with a policy stating that a veteran shouldn’t be punished for using medical marijuana. That wasn’t happening before…and it’s still not happening in a lot of places. Did you find willing partners in the VA? In the VA leadership, yes. They’ve been very dedicated and responsive…they really do care about the vets. But down the chain, you get into these little fiefdoms, the different clinics and facilities, where you have all kinds of politics that seem to unfold. We have basically two different kinds of caregivers in the VA. First, you have the doctor or nurse that understands or is at least open-minded about how cannabis works; they may not be pro-cannabis, but they’re willing to look at the evidence. We don’t have any problem with them. Then there are what I would call “rogue caregivers”—and I don’t say rogue lightly. These are individuals who have given up their oath, their responsibility to the patient that their needs come first. They’re the type of physicians who think of themselves more as cops than caregivers—they’re more concerned about federal law than about the patient. For those people, the policy didn’t change their behavior: They were anti-marijuana then, and they’re anti-marijuana now; they’ll just pick some other excuse to treat veterans badly for using it. In our country, we’re supposed to have individualized care, where the doctor treats you based on your medical conditions—and there’s no administrative denial of medicine that fits into that paradigm. One of the big problems is that there are less and less actual veterans in the VA treating fellow vets. The Pew Research Center data that recently came out showed that the majority of veterans coming back from Iraq and Afghanistan felt that no one back home really understood what they were going through—and that included doctors at the VA hospital. If they’re not vets themselves, the doctors don’t really understand the different situations these guys experience and may not have a lot of compassion for them. So we have to figure out a way to go after rogue doctors throughout the country that are anti-marijuana with really hard language, policy and rules. That’s only going to come with a change on the federal level. Most of our energy goes to that end now: toward federal rescheduling of marijuana. But with this VA policy spelling out the rules, we finally have a weapon we can use to say, “This is the way it’s supposed to be—this is the policy.” We’ve been able to make dramatic, sweeping change throughout the VA system thanks to that. So there’s been a big change? Well, medical ethics and standards of medical care haven’t changed overnight, but the VA certainly has changed the way they treat marijuana. They wouldn’t even talk about it a few years ago. Having a policy on paper that you can print out and show to your doctors…that’s a big step forward. You have to acknowledge and thank them for that. Have there been any politicians or press organizations that have been supportive? Yes—behind the scenes, we’ve been working with a couple of senators that are on the VA oversight committee. But, unfortunately, it hasn’t really translated into any vocal support. I can’t think of anybody who’s willing to go on record saying, “We need to make sure that vets have marijuana access.” But that’s a given—I’d be amazed that you’d ever find anyone to the contrary. It’s the same way in the VA leadership: It’s near impossible to get them on the record. When we met them individually, they were very supportive of our issues—that vets should have the same access as anyone else to medical cannabis—but they’re afraid to speak out and sign on to any resolutions. I gave a reporter 75 contacts in the VA system, and he failed to get a single one on the record regarding marijuana. Are the people you talk to aware of the current research on the endocannabinoid system and marijuana as a treatment for PTSD? Some are, some aren’t. One of these rogue doctors I was talking about was actually part of the CNCR (Center for Neurogenomics and Cognitive Research) and had done research in the VA system on marijuana. And this wasn’t some molecular-cannabinoid rat study—this was a study of human veterans with neuropathic pain. They used cannabis cigarettes in the treatment of neuropathic pain in a double-blind, gold-standard study, and what they found was that it worked. 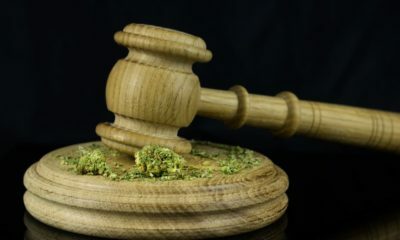 It was very effective—much more effective than the placebo—easily allowing this state-run agency, this cannabis-research group, to make very bold statements about cannabis being effective as a medicine. Anyway, the reason we started looking at this doctor was that we had a bunch of vets from California come to us reporting that they’d had their pain medicine taken away because they were using legal medical marijuana. All of them said the same thing: As soon as this new pain doctor took over the clinic, they were cut off from their pain medication and treated like drug addicts. In fact, this doctor made them go through addiction counseling and be drug-tested before he finally allowed them to have their pain meds back. It was a very hostile environment for them. You’ve got to realize that a lot of psychiatrists and other doctors just look at marijuana as a drug of abuse—they don’t want to look at it any other way. They assume that the vets are abusing it…they don’t want to take other evidence into consideration. The difference between medical and non-medical marijuana seems like just a nuance thing, but it’s really very different: When you’re using it medicinally, you use an extraordinary amount compared to someone that’s just using it for recreation, and you don’t really feel high. You feel normal—you just don’t feel the pain as much. We tried to get the CNCR to write a letter to the doctor and explain how the cannabis being used by these vets was actually a valid medical use. And they said, “No, we’ll send it to the VA hospital.” Then, instead of just sending it to the VA hospital, they decided to go ahead and send it up the chain to Washington, DC. Once they connected up to the people in DC—which turns out is exactly the same people that were working on the medical marijuana briefing paper, which later became the policy—it clicked. When they released their first directive, the language they used indicated that not only did they read the studies from the CNCR, [those studies] were formative in them issuing that paper. Without those “hard science” studies, I don’t think the VA would’ve had the political cover to be able to come out with this policy. So, yeah, not only do I think they’re responsive to the research, I think it’s been integral. Vets have been using pot as medicine since the Vietnam War, haven’t they? Absolutely. They really liked their marijuana over there in Vietnam. One of the most iconic photos I’ve seen is one of troops in Vietnam, and they’re passing around a joint on the stalk of the M-16 and smoking from the end of the barrel. I think that’s where the term “shotgun” originated. Yes, and the point I was making there was just that we’ve come a long way. When I was a kid in the ’70s, we didn’t know anything about cannabis as medicine—I learned most of what I knew about marijuana from Cheech & Chong. There weren’t really many delivery methods available back then other than a pipe, bong or rolling paper. Today, the delivery devices are endless, amazing and getting better all the time. The marijuana movement should be proud that their ingenuity is creating ways to ingest cannabis more safely…it’s giving patients access to more targeted relief for their symptoms. The vaporizer is really the perfect delivery device, because it doesn’t cause any flame. How do you feel about the state of medical marijuana in America? I just read a great book about evolution, and it said something like, “If you block evolution, then you’re guaranteed revolution”—I think that was the saying. That’s where we’re at right now. The medical cannabis movement is ready to evolve in a lot of ways—some good, some not so good. The problem is that you’ve got two forces at work out there: the forces of the federal government and the pharmaceutical industries, who are working together to produce single-cannabinoid drugs. They don’t want people to grow their own. If they succeed in keeping people from growing their own, I’m afraid that we’ll lose a lot of the biodiversity that we have in cannabis. A friend and mentor of mine over in Amsterdam, Robert Connell Clarke, talks about a “genetic ceiling.” A lot of the plants that existed when I was a kid are gone, and that’s the kind of thing we’re talking about. Believe it or not, the seeds from Holland that people use most frequently are a threat to biodiversity in and of themselves. It’s not the guy who goes to Holland and got some seeds and crossed it with the stuff he got from Mexico—that’s good; that’s probably going to produce the next super-bud. But if you’re constantly working from the same stocks and the same genetics from different varieties, the process isn’t really genetically sound. Sure, it’s no different than with humans: You want to have as broad a gene pool as possible. Absolutely—strength in diversity. We’re learning about things now that we would’ve never even imagined before. For a long time, we’ve been cultivating cannabis for certain characteristics: the high or the body buzz. What we didn’t realize was that we were inadvertently breeding out the CBD, a highly medicinal aspect of the plant. Anti-inflammatory actions, the suspected anti-cancer effects…they have much more to do with CBD, which is almost nonexistent in a lot of the plants you get from the normal sources. And I don’t blame that on the marijuana culture: US drug policy has made it such that marijuana at certain times has had the value of gold, silver or even platinum. And when you’ve got a plant that expensive, you try to cultivate it to get the biggest bang for your buck. So in response to drug policy, we’ve accidentally bred out something that we really needed. Not only that, I think the drug policy has actually fueled the smoking of marijuana. Like alcohol prohibition caused a surge in drinking, you mean? Yeah, just like Prohibition. I actually met with the White House staff, who told me straight to my face that the reason they won’t reschedule marijuana—why they have to have this big front against it—is because God forbid they look like they’re encouraging people to smoke. And the great irony is that the policy itself is encouraging people to smoke. If you have several grams of cannabis that you can either make into one brownie or several days’ supply of joints, what are you going to do? You’re not going to go for one morning’s buzz—you’re going to go for the rest of the week’s buzz. Again, smoking is the best bang for the buck. The way I see it, CBD strains are a sign that we’re breaking free of the government, starting to learn and think on our own. I’m presenting an award for Best CBD Strain this evening, and I’m proud of that…I’m proud of the cannabis community for being forward-thinking about this stuff. High Times is giving an award for cannabis with high CBD—that’s in recognition of science, of the patients’ needs and feedback. That’s not just hype or about getting high; that’s about learning from the past and from the plant. That’s evolution, and that’s pretty cool.